In this not-so-commercialized beautiful tropical island one can only find houses, cottages, and other small structures. My Little Island resort hotel. 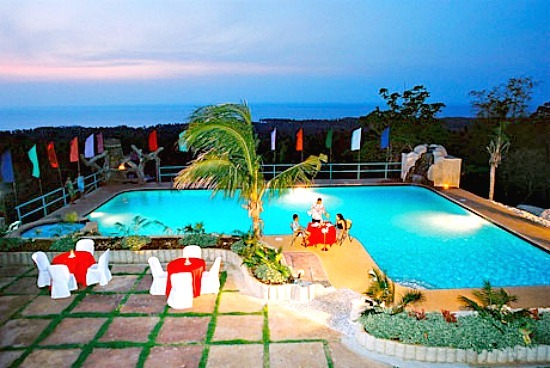 It is the first and only hotel in Camotes Islands. It is conveniently located in Esperanza, Poro Town. 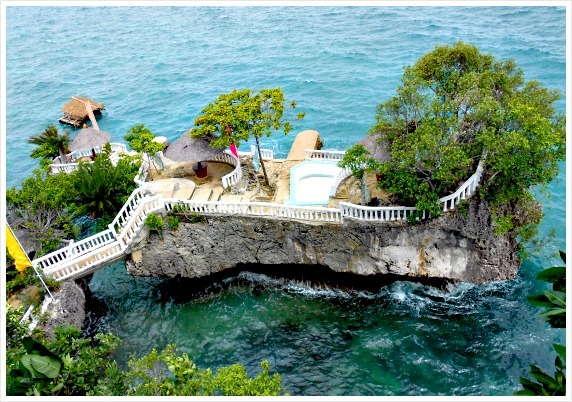 Poro Municipality has high cliffs and history tells that it is the gateway to Camotes Islands. It is not a beach resort but you can always go to a beach in less than 15 minutes from this hotel. Its fantastic swimming pool, great rooms, services and other facilities can make your visit on the island fun and memorable. Adventures and other interesting services are being offered to make you see more and explore deeper the beauty of the island and its waters – such as tours and water activities. My Little Island has everything you might possibly need while staying at this hotel comfortably. You can do business, enjoy the food, drinks and music, swim and then rejuvenated through spa and massage services, and even get a medical service. If you want to learn more about the facilities and other services available, please don’t hesitate to contact the management by using the contact details below this page. Most probably, you just don't want to enjoy your nice bed and room or stay all the time at the hotels perimeter. If you really want to explore further what this island can offer, MLI hotel can provide you that facility, too! Tours & Excursions are available upon request and arrangement at the front desk of My Little Island’s. The tour and excursion totally depends on your request and arrangement with the front desk manager. You may choose from doing seawater activities, such as snorkeling, swimming, diving and island hopping. Another thing you can enjoy with is doing excursion or visits to nice places and sites on the island. The island itself is bedecked with natural sites including the Bukilat Cave, Timubo Cave, Lake Danao, waterfalls, mangroves areas, hills, Buho Rock resort, and untouched beaches surrounding the islands. The hotel itself can provide you vehicles that could bring you to places you wanna see, and they will arrange with other service providers any activity you may request. That’s great, isn’t it! 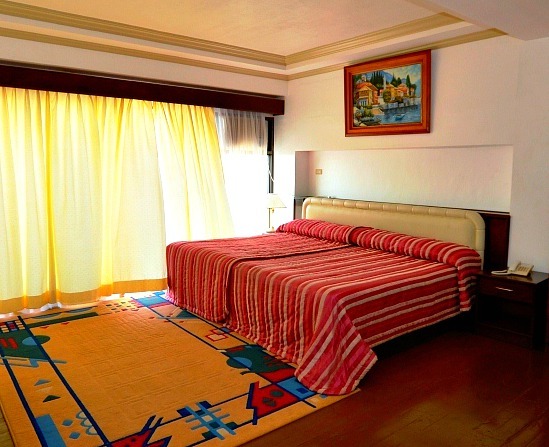 My Little Island hotel offers 5 various rooms for your choice. 2 children below 12 years share with adults – FREE! The rates start from Php1,800 to Php6,300. This published rate is valid until December 2014, so please make sure you contact the management directly or book through any hotel booking service provider such as Agoda and other providers. This site is an official partner of Agoda.com which offers great hotel reservation service in the whole world. Hopefully, we can provide other choice of booking companies in the near future. The hotel offers various rooms / halls for any business and social event you may want to happen and accomplish. They have seven rooms / halls available and equipped with facilities, such as: slide and projector, white board, pin board, copy machine, audio-visual facility, and other equipment. Being a social being, we love to engage with fellow human beings in various ways. One of the common way to do that is through gatherings with friends via celebrations. My Little Island Hotel can exactly provide you with any celebration you want to happen here. The hotel accommodates and caters celebrations including: birthdays, debuts, baptisms, weddings, anniversaries, parties, and family events. So, aside from business and social functions, My Little Island also accepts more serious and bigger activities that include larger number of guests and attendees. The hotel accepts conventions, such as seminars, meetings, conferences, and other business, corporate, civil or religious activities. Just make sure you contact them ahead to make things go smoothly as planned. 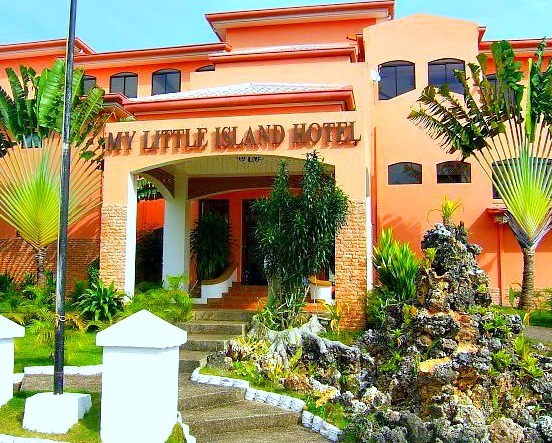 Finding My Little Island Hotel on Camotes Isls. The hotel offers various means and ways to contact them for better communication and service. Here below, you'll find the address of the hotel, phone numbers and other contact details. Daily Trips: Ferry from Danao City & Cebu City – pump boat from Danao to San Francisco, Poro, & Tudela (7am): for Pilar is 1pm. Fast Craft: from Cebu to Poro at 6am & 6pm at Pier 1. Chartered Flight: private companies in Cebu City – for Pacijan Island, San Francisco. Besides that quick travel tips mentioned above, you may use this site's page that describes in further details that transports than will bring you to this island. Please, click Getting to Camotes Islands that provides transports, schedules and some tips you might need to come to this island. They are not carved in stones, so there might be come minor changes overtime. In case, you need a guide on how to get to Cebu first before getting to Camotes Islands, you may use our guide page detailing the Getting to Cebu guide. Again, this guide page provides land, airlines and shipping lines that operate in the country and particularly Cebu. Have an enjoyable visit to this wonderful island.